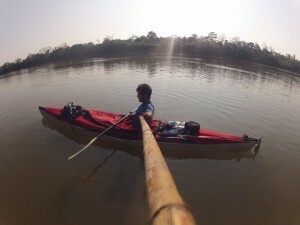 After a 9000 km cycling adventure across Africa, Davey du Plessis set his sights on his next adventure, an unsupported solo source-to-sea expedition of the Amazon River. In 2012, with the first two stages of the Amazon expedition behind him, Davey set out to kayak the remaining 5700 km to the Atlantic Ocean. This final stage, however, would not be completed because Davey was ambushed in the Peruvian jungle, shot 4 times with a shotgun. He managed to escape, despite his serious injuries, and find help from the locals that ultimately saved his life. You can read about his incredible ordeal in his book titled Choosing to Live and from his website daveyduplessis.com. Davey du Plessis, welcome to The Pursuit Zone.